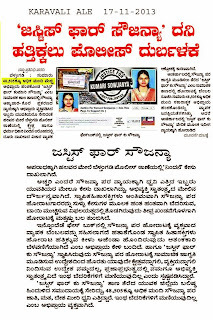 Justice For Kumari Sowjanya: Thank you Karavali Ale for putting up a true story. Thank you Karavali Ale for putting up a true story. Karavali Ale has to say this about yesterdays baseless allegations of maligning Dharmasthala Temple and Sri Virendra Hegde's name on me and few others. All other news papers were paid to do so we believe, but we are glad that Karavali Ale is very genuine and transparent here. 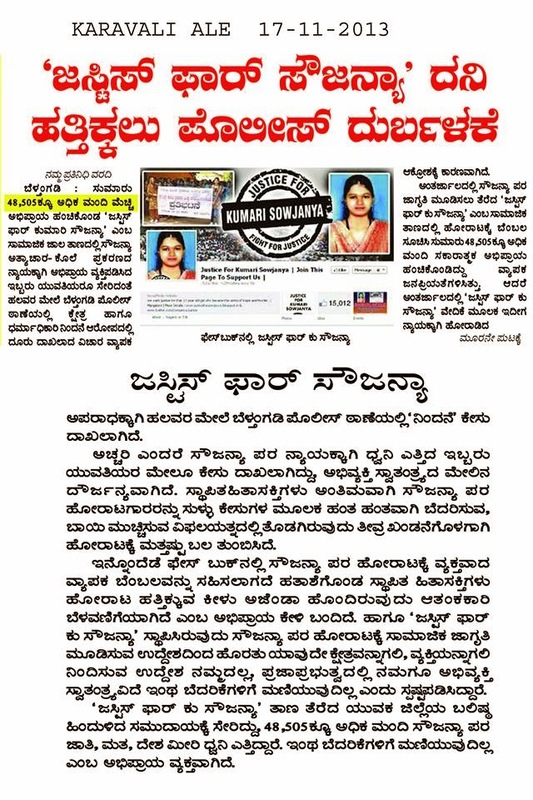 Those who still accuse us for defaming Temple's name need to open their eyes wide and give a look at our page to find any Anti-Hegde, Anti-Dharmasthala contents. I challenge Mr. Rajendradas (Complainer) to prove his accusation on me is true, if he proves so I am ready to DELETE THIS PAGE. Thanks a lot for provoking us and questioning our sincerity in seeking Justice for Sowjanya. Definitely your every false attempt to stop our campaign will never turn into fruitful, rather it would strengthen our fight. You people will see that.